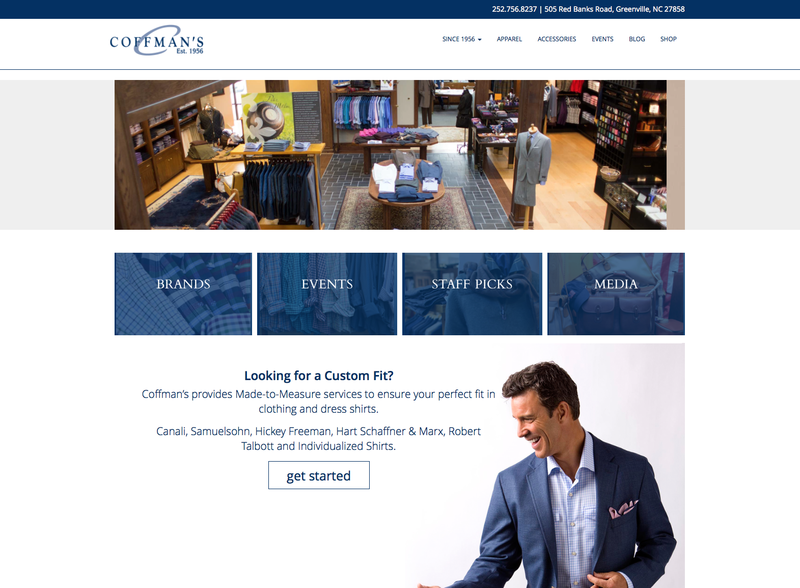 The team at Igoe Creative worked with Coffman’s Mens Wear to create a customized and new responsive website. 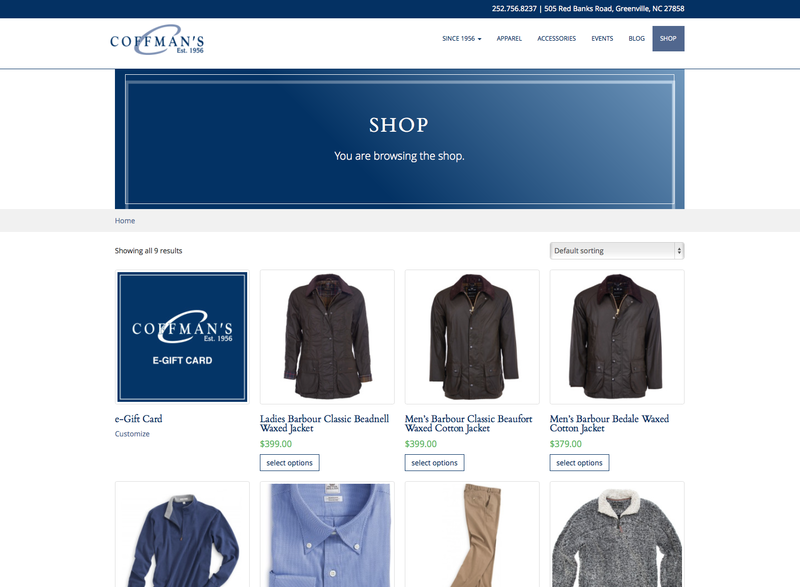 Using a content management system, the site has a fully-functional shopping cart and e-gift cards that customers can purchase to use in the store. Visitors can view staff picks and look back through over 60 years on Coffman’s History page. 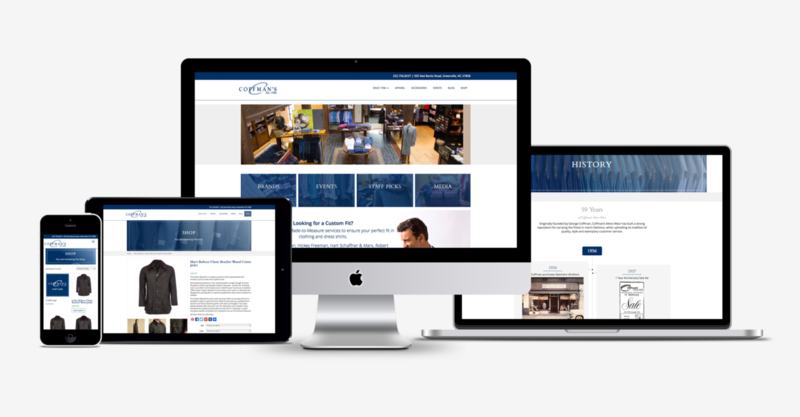 With a hands-on approach and customer service like no other, we promise you’ll be glad you did. 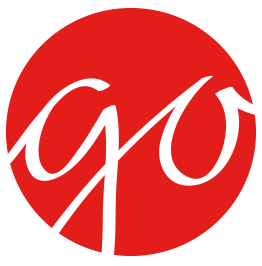 Copyright © 2019 Igoe Creative. All Rights Reserved.